The Alumni Association of Kendriya Vidylaya, ASC Centre (South) Bangalore regrets to inform all its members that Shri. V.V. Srikanthaiah, the First Principal of the School is no more with us. He passed away at his residence in Rajajinagar, Bangalore on Sunday, 20th September, 2015 at the age of 86, leaving behind his wife, Smt. Ahalya, who was also a PGT in the School, and a daughter and a son, both of whom are married and well settled. After completing B.A and B.Ed from Mysore University, he had his M.A (English) from Benaras Hindu University and subsequently achieved his ‘Diploma in Language Teaching’ from Birmingham, UK, on Commonwealth Scholarship. Shri. Srikanthaiah started his career as Senior Teacher in Gandhinagar Higher Secondary School, Bangalore from 1954 to 1961. During this period he worked closely with Shri. M.P.L. Shastri, an eminent Educationist, and was very popular amongst the students, Co Faculty, non-teaching staff and the Management. He joined ASC Regimental Children’s School, Bangalore, in 1961 as its Head Master. When this Regimental School got converted into Central School [now known as Kendriya Vidyalaya (KV)], he was selected and appointed as the school’s first Principal, in June, 1963, at a young age of 34. He guided the school in its academic and co-curricular activities up to July 1967. Incidentally, Central School, ASC Centre(S), Bangalore, was the first Central School in Karnataka and one of the first 5, all over India. Even at that time, dating back by more than half a century, starting of Science club, Literary Club, participation by students in Science exhibitions, inter-schools debate and speaking contests, are testimony to his vision, innovative ideas, enthusiasm, interest and zeal to ensure that every department of the school improved. He introduced the “David Horsebourogh” style of Italic Writing in the school. 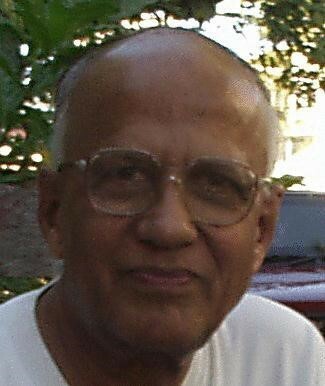 With a view to inculcating the habit of writing and developing editing skills among children, he had, while in KV, ASC ,Bangalore, introduced a fortnightly Manuscript Magazine named GIRIMALLIKA , a collection of articles, short stories, poems, essays and drawings and paintings, contributed by the school children and edited and published by a Student Editorial Board. Sound mind in a sound body – he encouraged sports and games for both boys and girls. When our school entered the BT Ramaiah Shield Inter Schools Cricket tournament, he took pains and arranged for cricket boots from a Sports Shop, for the 15 members of the team, on instalment basis (Rs.10 /month, for 10 months). After his transfer from our school, he served as Principal of a number of other KVs across the length and breadth of the country. From 1974 to 1978 he was posted as the Principal of KV Kathmandu, Nepal. This was a diplomatic posting. During this tenure, he started the new School campus and developed the school to be one of the best schools in Kathmandu. Shri. Srikanthaiah was not only an innovative Academician but also an able Administrator. His efficiency and effectiveness as Principal, at various KVs was duly recognised and he was promoted as an Assistant Commissioner in the Kendriya Vidyalaya Sangathan (KVS). In due course, he was elevated as Deputy Commissioner (Training). He introduced many a training program for teachers and students alike, developed a “Minimum programme for Kendriya Vidyalayas” to effectively administer the schools and arranged training programmes at various levels including those for the Principals. Just before his retirement from KVS, he conducted a 40 day training program for the newly selected Principals, focussing on teaching and school administration and covering many other related areas. He was instrumental in implementing the concept of TQM (Total Quality Management) in KVs. As an administrator he had a number of achievements in the Academic and Literary fields too. introduced methods and provided means to make English teaching effective, especially for Primary school pupils by developing listening, speaking, reading and then writing skills. ensured the setting up of various clubs such as dramatics, literary, cultural, and Science clubs, in every KV. was primarily responsible for developing various subject curricula (especially English, SUPW, and Social Studies). At the end of an illustrious career he retired from KV Sangathan as Deputy Commissioner, on 31st May 1988. Even after his retirement he remained young, energetic and active. He was the Principal of New Horizon School, Indiranagar, Bengaluru and Widia Poornapragna School, Nagasandra, Bangalore for brief periods. Continuing his quest for improvement and innovation and with a view to sharing his knowledge and experience in the academic and administrative areas of Education, he took up a number of projects, post retirement. These included the setting up of 2 Public Schools –viz. TVS Public School, Tumkur (near Bangalore) and Seshadripuram Public School, Yelahanka, Bangalore. He was very active in the field of education till his 80th year. A very strict disciplinarian and a teacher, par excellence, he always had the welfare of his students upper most in his mind. The very first batch of students of Central Schools, who passed out XI std in 1966 (there was no XII std then) had difficulty in getting admission to Degree classes in the colleges since XI std of CBSE, New Delhi was not recognised by them. I was one such student. When I and other classmates of mine brought this difficulty to the notice of Shri. Shrikanthaiah, he swung into action with lightning speed, took up the matter at the highest level in the Ministry of Education, Government of India and saw to it that we all were admitted to the Degree courses of our choice without much delay. That was his dedication and commitment to the cause of education and level of interest in the welfare of his students. During his entire service, whether in KVs or other schools, he was very popular with students and staff alike. He was always proactive and wanted to try out new ideas with a ‘childlike’ enthusiasm. A man so noble, a man who has left his deep imprint on each and every student of his, a man who worked incessantly for the improvement of education system, is no more with us, today. But he will ever remain in our hearts, guiding us from his abode up in the Heaven. We express our deepest condolences to the bereaved family and pray God, Almighty, to give solace and peace to the departed soul. Sad to hear the passing away of Shri Srikantiah. He was my first Principal at K.V.ASC , Bangalore. When he left for his Delhi Posting to the Sanghatan. more than 200 staff and students went to the Airport to see him off. It was a sudden posting and soon after he wed Hom Science PGT. He had a great personality and never missed the morning Prayer time. I am from the third batch passing in 1968. Shri Raghavendran was the SPL and also School Cricket Captain and I had opportunity to play under him including keeping wickets in our Ground. Remember ahalya mam also. Our sincere condolences to his family.